Travel from the outermost reaches of the solar system faster than the speed of light, taking in the wonders of the planets and their moons, from Pluto to Earth, zoom past planets revolving above you. 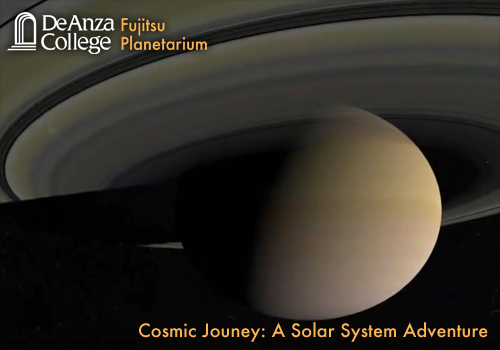 See the ringed systems of the outer planets and the detail of various moons, all digitally rendered using real images from satellites. Finally, return home to Earth and contrast our home planet with the other worlds you've explored.